You must be a motorbike lover, but there are something that you may not know, because nobody ever tells you. So there is a list of 7 things you should know before purchasing a motorbike and ride it. Raindrop is a big problem for motorbike riders. You should be covered carefully when you are caught in rain. However, if you forget to bring along your raincoat, that would be a serious trouble. You will get hurt by the raindrop on your face and body. Besides the price of the motorbike alone, you need to pay taxes up to 6 – 9% depending on where you live. You also need to pay for insurance fee. Moreover, you have to buy a decent helmet, a mediocre jacket, a decent pair of gloves and boots. You need to check the speed of your motorbike before purchasing it so that you will not be surprised or get shocked when you actually ride it. Normal people think that tires can last for 40,000 to 80,000 miles. However, if you ride your motorbikes on tough terrains, it does not last that long. Instead, the average distance you can go with a set of tires is about 15,000 miles only. Sometimes, some tires only be well-used for 2 days. You may think that small motorbikes are no fun to ride. However, it is quite a wrong thinking. If you do not have a good budget, it is a good idea to purchase a small but good quality motorbike. It is a better suggestion to get a relax and go around for a while after riding your motorbike for a half an hour to an hour. Some professional motorbike riders can ride up to 700 miles but not always on the seat. They need to have some rest during the time. 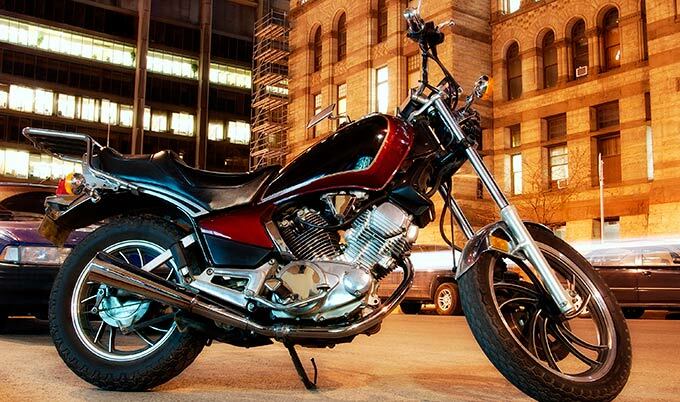 Many motorbike riders think that there are two types of bikes, namely sport bikes and cruiser bikes. But that is not true. You also have street fighters, sport touring, adventure bikes, micro bikes and some sub-types of motorbike models.